A riser tool post is used to bring the cutting tool back to lathe centerline height when using a riser block to raise the headstock to turn larger diameter parts. 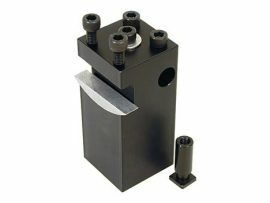 The riser 3/8″ insert tool post holds either a 3/8″ square shank insert tool holder or a 3/8″ round holder. This tool post is the riser version of Sherline’s standard height P/N 7600 insert holder tool post. 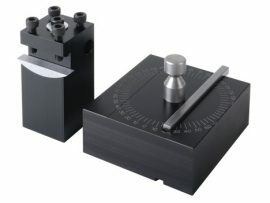 It is designed to fit the larger 3/8″ square and round holders commonly used for carbide or diamond inserted tips. It will also hold Sherline’s own P/N 2256 (RH) and P/N 2257 (LH) 35° inserted tip tool holders. It is machined from solid aluminum and has a black anodized finish. 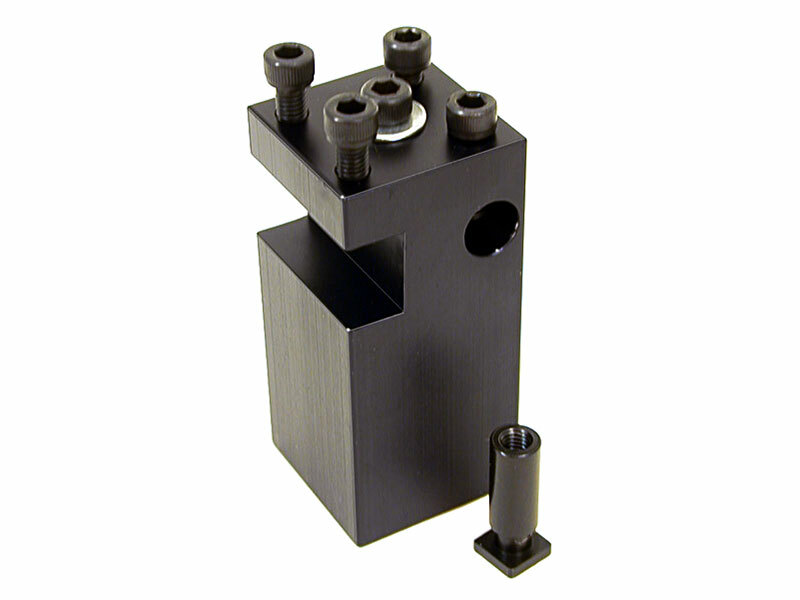 NOTE: Carbide inserts and inserted tip tools are available through Sherline. Call for a complete listing or see our worldwide website.